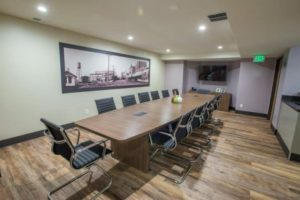 Are you planning a meeting or event and need a venue in Arvada? 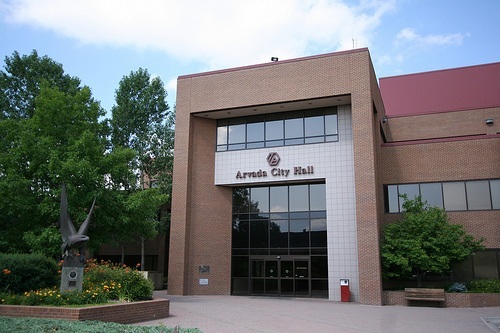 Click here to view of list of options in Arvada! The Arvada Chamber Conference Room is also an option for Arvada Chamber of Commerce members. Please complete the below form to request a reservation. Rental hours are Monday-Friday 9:00am-5:00pm. To reserve, please complete the request form located below. A member of the Chamber team will be in touch within 48 business hours. Please note that stairs are required to access the conference room. Included in the rental is access to a computer, TV screen with HDMI cable, a board-style table, 14 chairs, and and white boards. Renters must bring their own food and beverages for the guests at their meetings. Please close the door during your meeting to allow for your privacy. Guests are expected to leave the room as it was found ~ please put chairs back, clear the table, counter and dispose of trash. Please remember to turn the lights off when you leave. Would you like to use our Conference Room? Fill out this form, and someone will get back to you within 48 business hours! 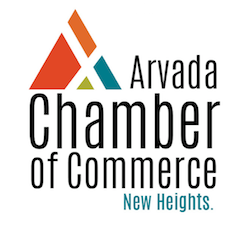 Check out other options to plan your meeting or event in Arvada! In alphabetical order / Click here for a printable version of this list! Available to rent to non-residents outside of pre-scheduled resident events. The facilities differ in size and A/V capabilities. Cost to reserve varies by day of the week and group size. Would you like your business included on this list? Please contact Molly Kust at molly@arvadachamber.org!